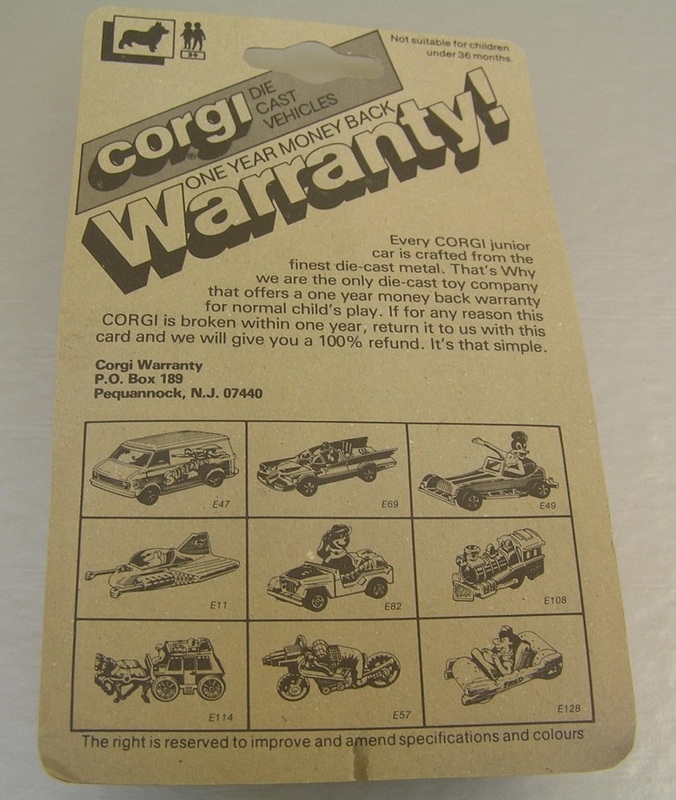 Here’s the X-ploratrons backstory, and below is the ad from the 1979 Corgi catalog. The first ad is illustrated by British artist Frank Langford. 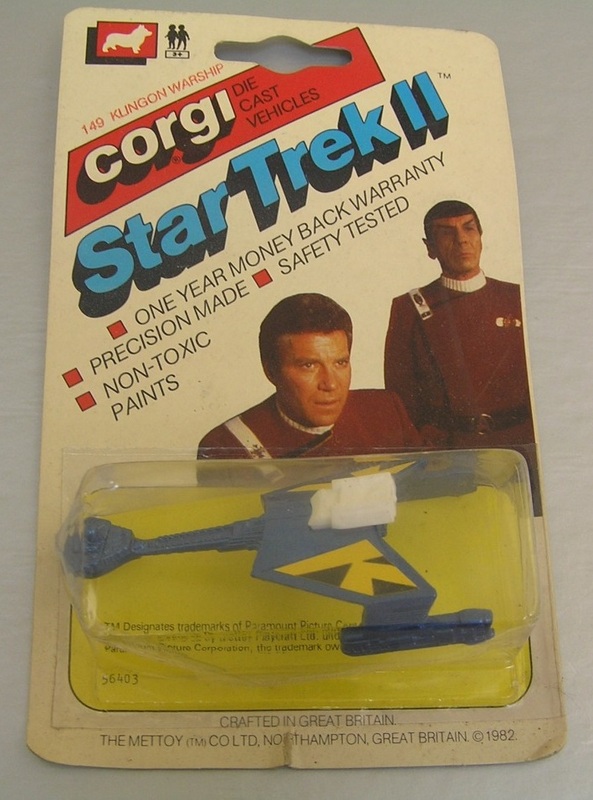 For those of you amused by the inaccuracy (and irrelevance) of Corgi’s Star Trek II Klingon Warship, I present these gems. 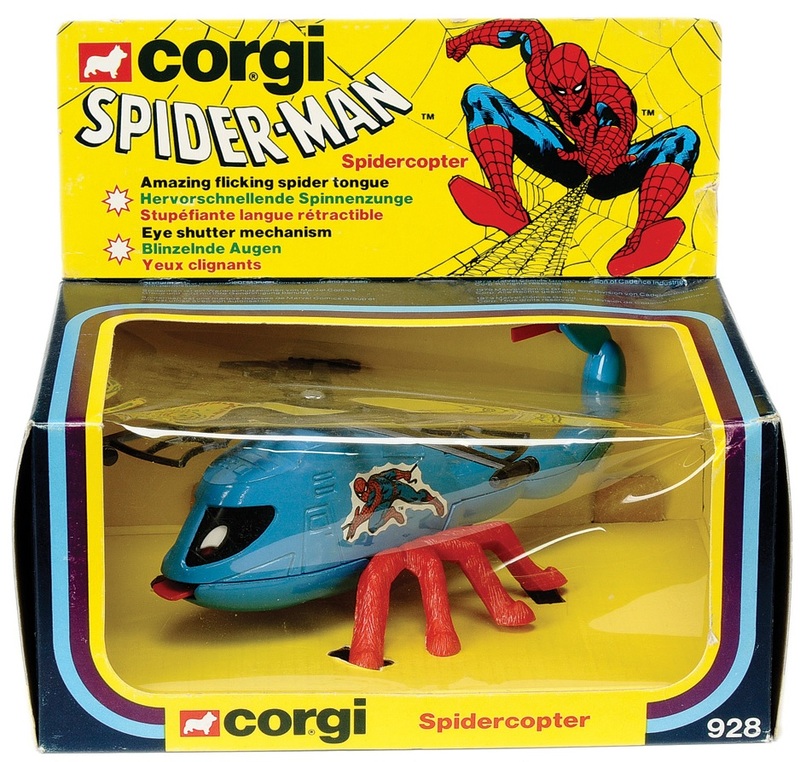 The Spidercopter has an “amazing flicking spider tongue,” which Mary Jane may or may not have appreciated. 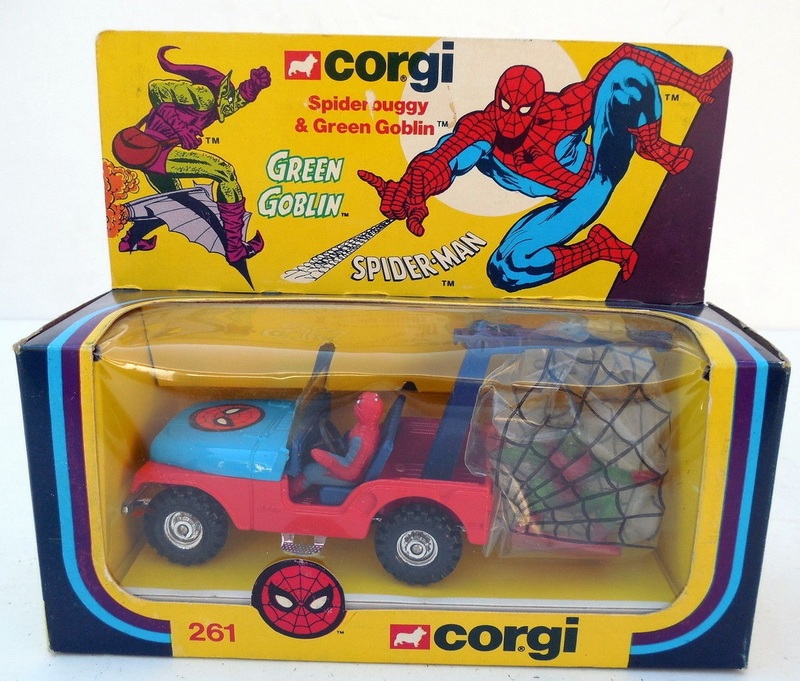 A Spidervan came in the same series. 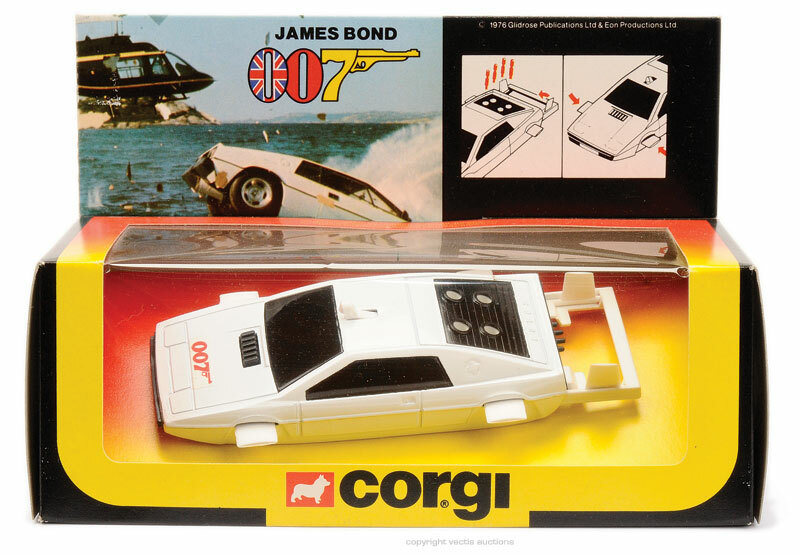 Dude, Where’s My James Bond Submarine Car? The Aston Martin from Goldfinger sold for £2.9 million in 2010. I can’t imagine the Lotus will go for less, since, you know, it’s a bloody submarine. 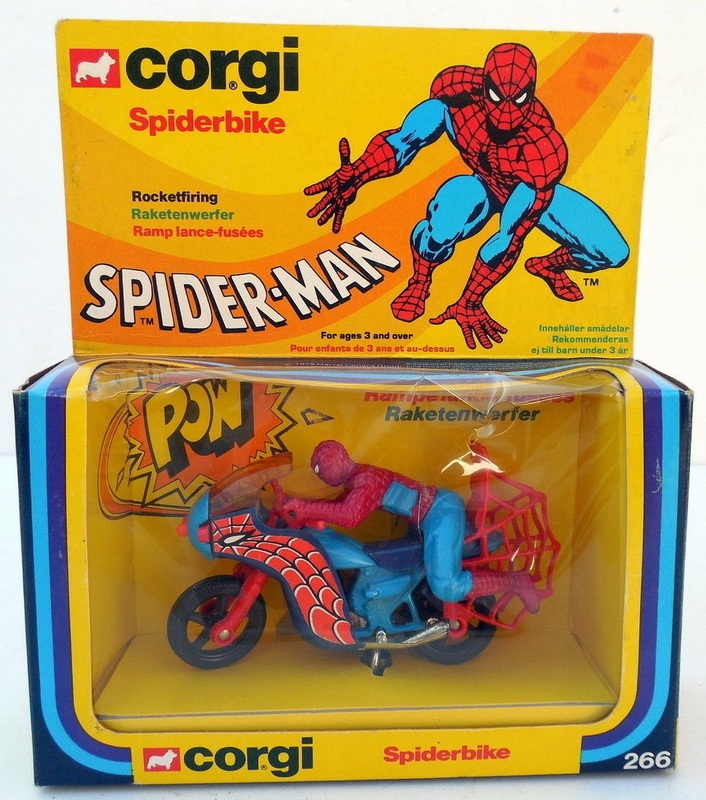 The closest I ever got to the damn thing is pictured below.